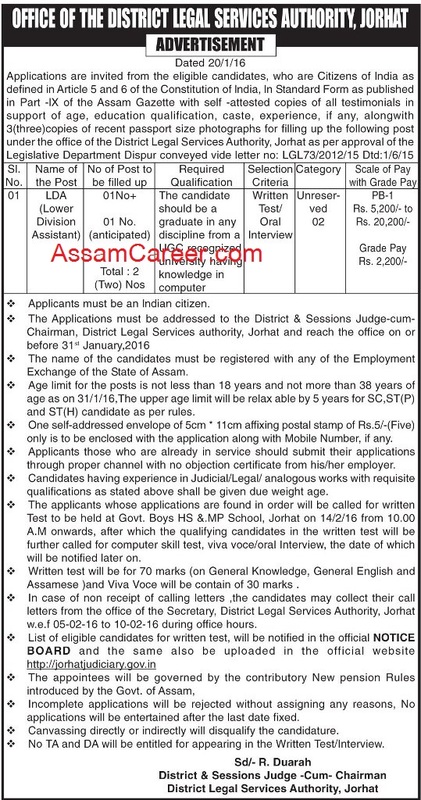 Applications are invited in Standard Form from eligible candidates for filling up the following temporary posts in the establishment of District Legal Services Authority, Jorhat. Educational Qualification: Candidate must be Graduate from any Govt. Recognized institution and must have Computer skills.